Coming into the breeding season the birds are probably looking their best and brightest, this Mallard was certainly looking extremely smart down at a local canal. My other album today contains a Grandmonster, not quite as smart as this Mallard, but having far more fun. 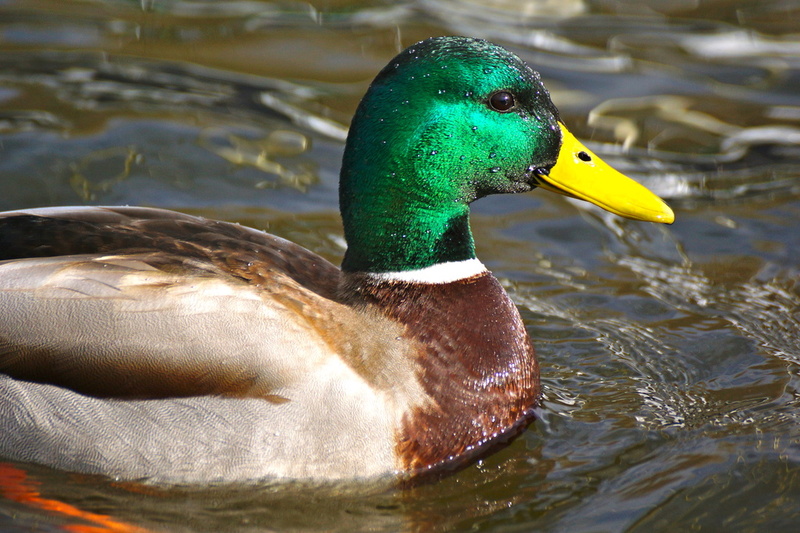 Beautiful colors - love these mallards. When you can get the light to hit them like you did here, they are stunning. Really nice detail. Beautiful lighting over the green head, looks great. You captured that handsome iridescent head beautifully with the light and small beads of water on him. Wonderful close up. You captured the sheen on his head feathers brilliantly, and it contrasts nicely with his bright beak too. Stunning colours and detail. Great shot. @milaniet @dmdfday @cailts @anazad511 @darylo @cljs @leananiemand @barbarajdonnellan @elisasaeter @tuya @roachling @kiscsillag @alia_801 @miata2u @bri1066 Thank you all very much for taking the time to view and for leaving your wonderful comments, very much appreciated and thanks again for the Favs.